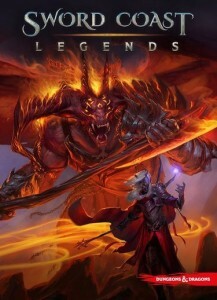 For those of you that follow me on twitter, you probably know that my opinion of the recently released Sword Coast Legends wasn’t the greatest. I’ve been meaning to write a proper review of the game for some time now, being that I was provided a press key for the game it was a professional obligation of mine. However, I’ve been waiting on patches and content that the development team had been promising before doing so. It is well known that I don’t like to write product reviews for things that I don’t enjoy, and I just couldn’t bring myself to write a review for SCL until my opinion of the game had at least reached a neutral state. Unfortunately that has yet to happen, nor will it ever with NSpace closing its doors, and publisher Digital Extremes still debating whether to leave the servers open, it doesn’t look like I have any more time left to hold my fingers crossed. This post will not be a review, but more about D&D videogames themselves, some speculation, and thoughts on moving forward in this space. I think even those who aren’t knee deep in the D&D-o-sphere may appreciate some thoughts here, and I’d love to get some good feedback in the comments. One of the first things that comes to mind is wondering what kind of situation Nspace was put in, in accepting the license deal with WotC/Hasbro. The studio has been around for 21 years prior to their collapse, and while I honestly can’t name too many of their previous titles, a quick google search reveals that they had quite a number of big and successful titles under their belts. Hell, they managed to sustain 20 years before releasing SCL. During the first beta event for SCL I realized that the game was very, very far away from what felt like a polished retail release. They pushed back a few months after the scathing feedback from that first beta, but it still wasn’t enough time. I think they needed at least, another 6 months, realistically speaking (releasing a game that wouldn’t need a slew of content/community patches to right its course) I feel a year or more would have been a more realistic timeline. Which makes me wonder, why exactly was this game pushed out when it was? My first suspect goes directly toward Hasbro/WotC wanting the game launch to line up with other D&D products. 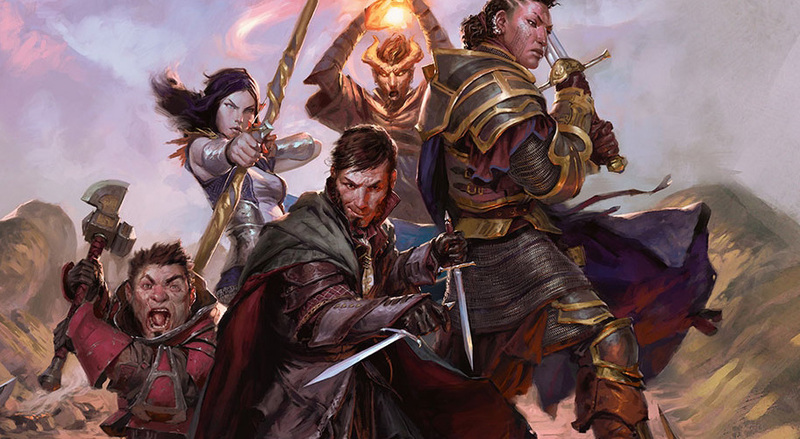 Dungeons & Dragons has become a brand and a franchise, more than it has been just a game since 5e’s launch. Putting the D&D name on bad products seems to be hallmark at this point. I digress though, that’s a post for another day. The main thing here is, the whole launch felt odd, the developer live streams were lacking and you could tell they were purposely sidestepping a large swathe of questions regarding the game’s content and design choices. They focused on the good bits, as you would expect anyone to do, but the fact that they were wishy-washy about very important questions regarding certain aspects of the game was unsettling. I’m not sure on the dollars and cents riding on something like SCL, but I would imagine it could be a hefty amount. I’m really, really hoping that the studio didn’t put all of their dragon eggs in the D&D basket, but I have a feeling they might have. Other speculation might include internal pressure to please the folks at Hasbro, or that Hasbro had given them a hard deadline up front. I guess all my guesses point back to Hasbro. Yeah it’s cliche to blame the corporate overlords, but I’m being realistic. Let’s face it, SCL should have been an early access title if they were going to launch it in the state they did. I know we see this a lot in the PC gaming space, but it shouldn’t be something we’d expect from a AAA development team wielding the might of the D&D brand. The game had huge performance issues at launch, sound issues, poor voice acting, and lots of other rough edges. It just wasn’t ready. Now, they’re saying it will still launch on PS4 and XB1 which seems like a terrible idea. If Digital Extremes does this, it’s a losing proposition (financially) and without modding tools being available on consoles, there won’t even be a community around to bring the game back to life, or even help it limp along. SCL was selling at 50% off very soon after its launch, which is also a good signal that the sales numbers weren’t the greatest. I’m no industry insider here, but I’ve been playing PC games and scouring the Steam store long enough to know when something is up. I have been an avid PC gamer for close to 20 years now, and if there’s one thing I know it’s that a community can gather around something and make it better. Hold it up and keep it alive, even allow it to be something more than it was ever intended to be. So while I think that there’s a good chance that the SCL community will be able to set up private servers, create mods, and hopefully expand on the awful dungeon editor (more on that soon) – I’m not sure how much it will help. The game wasn’t even around long enough to muster up that much of a community. 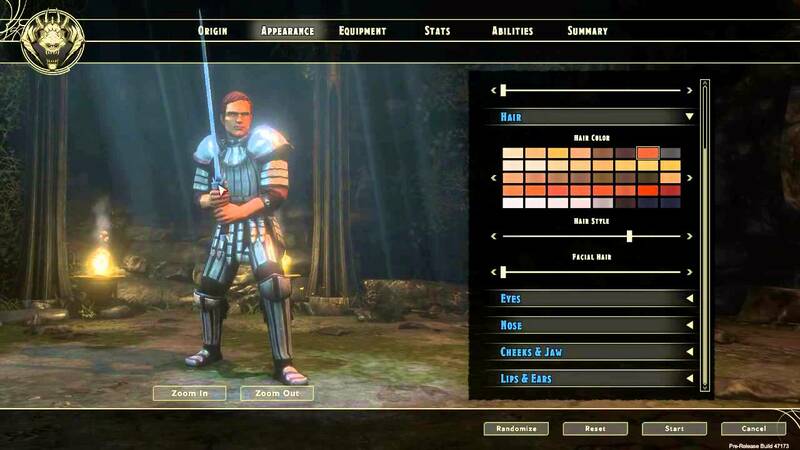 I’ll admit that Neverwinter Nights wasn’t a phenomenal game from a narrative standpoint, but the editor and freedom to make it what you wanted is the reason people are still playing that game, to this day. Will the same be true with SCL? While I hope so, I’m not sure that hope alone is going to make that happen. Future D&D Licensed Gamedevs, Listen! If you’re going to make a Dungeons and Dragons game without a dungeon editor / DM mode, that’s fine. Do a great job and weave us a great story, as many have before (Baldur’s Gate 1 & 2, Planescape: Torment). If you’re going to make a Dungeons & Dragons game with a dungeon editor / DM mode, please make it actually work for the content creators who will be using it. We play D&D because it’s not like a video game, but having it in digital form is a fun way to play the game, all the moving pictures and descriptors are right there for us, which takes some of the workload off and helps for the shared experience. I know that no D&D video game could ever replace playing at a table with dice and character sheets, and we’re not expecting that, but it’s a great alternative for people with busy schedules, or separated by distance. It takes more time and patience to deal with learning to use a virtual tabletop than it does to hop into a video game. You’re creating a tool for potentially endless fun for small groups of people all over the world. All that being said. Let us put whatever items we want inside a treasure chest in our dungeons. Let us lay out our dungeons in any configuration we like. Allow us to put more than 3 different types of bad guys at once inside of it. Allow us to place visual effects without garish mouseover text so that it actually blends into the world. Allow us to scale the size of the objects we place in these environments. 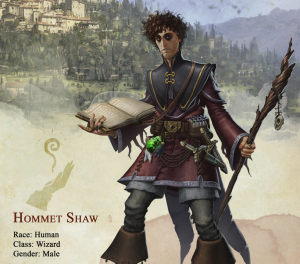 Plainly, if you’re going to make a DUNGEONS and Dragons game with a DUNGEON creator in it, for fucks sake, allow us to do just that. Create dungeons. Not segments of predetermined aesthetic shuffled together. I can’t stress all of this enough. While “DM threat” and “DM Loot” were novel concepts for the game, it wasn’t an MMO. Don’t make all the monsters scale to level, there’s a reason why PCs only kill goblins between levels 1 and 5. It’s all so frustrating, but now let’s not devolve into pure negativity. Let’s take a look at what we CAN do to make the next “craft your own world” D&D game better. Hopefully the glory days of D&D licensed games have not passed us by, after all Beamdog seems to be getting it right. They’re using an ancient game engine and still managing to produce something that looks polished and amazing right out of the gate. I hope all the folks who were affected by NSpace’s closing find new jobs at even better companies developing games and putting their talents to use. I feel like a more focused, hands-on approach to game development for the D&D community is a must moving forward. Sword Coast Legends felt more akin to something like an advanced version of Gauntlet, and not a whole lot like a D&D game. Assuming the game goes on sale for cheap ($10-$15) and the community manages to hold it together, it may still be a game worth purchasing, but at this point, I can’t really recommend it for the D&D aficionado, nor the budding D&D-curious. You should go play Pillars of Eternity instead, or crack open that old copy of Neverwinter Nights. Until next time folks, game excellently with one another! I never got the sense that the developers of Sword Coast Legends really had clue of what D&D was and what people actually wanted. It seemed more like they made a game and slapped the D&D label on it. I’m glad someone caught that!